As sheriff, he is charged with dispersing gatherings of radicals, but he rarely succeeds. Although we tend to look at meetings like the one before the Tea Party through rose-colored glasses, they really consisted of large groups of angry men with enormous destructive power. 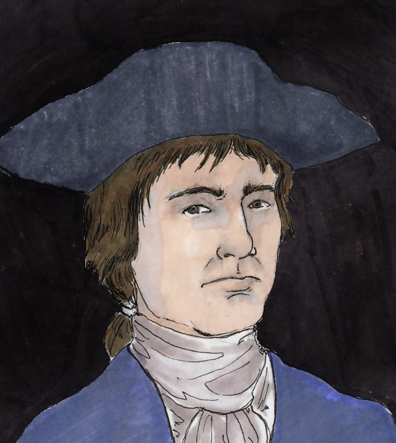 After the tumult of 1765, Stephen Greenleaf’s job to keep the peace became nearly impossible. In 1765, when a crowd hangs political effigies on the Liberty Tree you are ordered to remove them, but the people will not allow you. Two years later, crowds again defy you when you try to evict squatters from a building that British soldiers wish to occupy. You are defied again when ordered to stop an illegal meeting that plots the “Boston Tea Party.” When you tell the crowd to disperse, people hiss in response. Your brother, a Patriot, later replaces you as Sheriff but you remain in Boston.